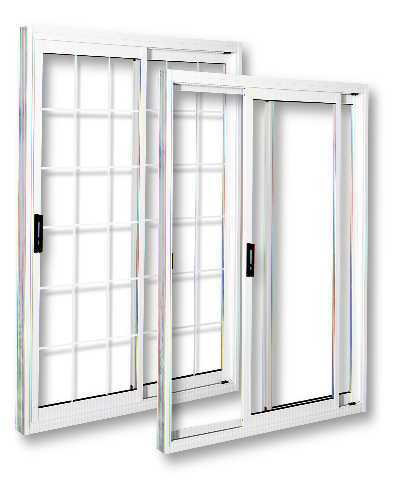 Dominion Window and Door (1983), Ltd.
Patio doors, like sliding windows, have two sashes or "panels". One operates and one is fixed in place. Patio doors open by sliding the operable panel along horizontal tracks at the head and the sill. Steel rollers glide the panel across a stainless steel sill track for near effortless operation. A sliding exterior screen allows you to enjoy a fresh breeze while keeping the bugs out.